There's a special language that transcends time and space - a language that's not constrained by the limitations of just words - but one that consists of signs, symbols, energy and thought. A language that can only be heard when one truly listens. It's the language of The Spirit Whisperer. 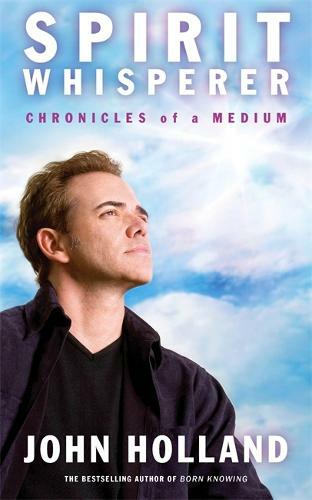 In John Holland's past books, he explained how he came to terms with, and learned to accept and embrace, his spiritual gifts as a psychic medium; and how 'readers' could develop their own intuitive psychic abilities. In this book, John picks up the fascinating story of his personal journey of growth and development as one of the most respected practicing mediums today. This work chronicles his career to date and includes some enlightening and heartfelt real-life case studies. He candidly discusses readings with clients, including those who've had their own After Death Communications (ADCs) - from the outrageous to the profound. John also explains the signs and symbols that our loved ones continually try to send us. As John often says, 'Those on the Other Side want to talk to you - as much as you want to talk to them!' John divulges for the first time some of the extraordinary paranormal occurrences he's witnessed throughout his career, and provides a rare glimpse behind the scenes of what it's like to be a 'Psychic Time Machine' for several television shows. He'll also help parents who have a psychic child themselves. The Spirit Whisperer is a book you'll want to read over and over, as many of the stories will touch your heart as well as your soul!